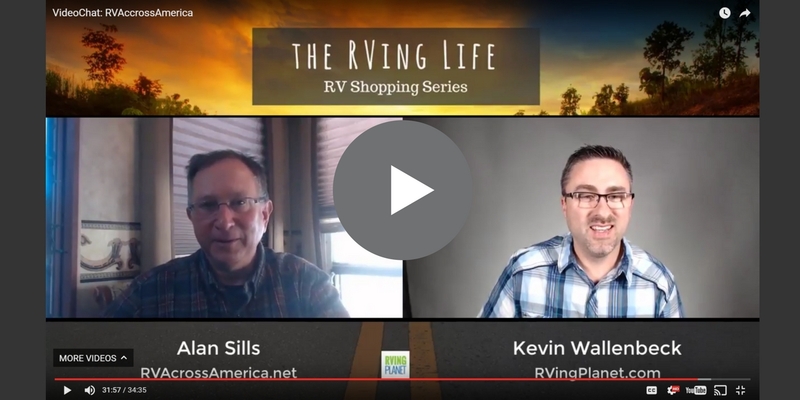 Welcome to the third episode of “The RVing Life Show”, where I interview Alan Sills of RVAcrossAmerica.net. Alan is a full-time traveler, living in a fifth wheel since 2011. 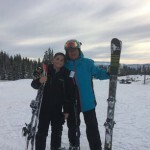 A science educator at heart, now a traveler, ski instructor, and rv consultant. 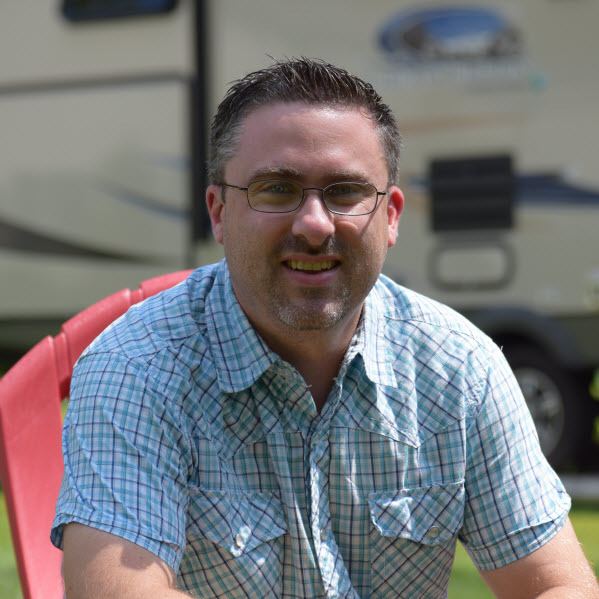 He writes about the RV life, RV issues, and living an entrepreneurial lifestyle on RV Across America. What questions should you ask yourself when considering different RVs? Why it matters WHERE you buy your new (or used) RV? What you SHOULD look for when evaluating that new rig! Online tools and resources for searching by lifestyle/use? RV Across America – Alan’s blog for RV living, RV issues and solutions, and living an entrepreneurial lifestyle on the road. FREE RV Buyers Worksheet – … get organized … your wants, needs, towing, REAL costs, and more! Resources for first time rv buyers in the RVing 101 area of RVingPlanet. The RVingPlanet blog – See our take on the best RVs, Product Reviews, and more! Kevin: Today we have with us Alan Sills. He’s a full time traveler, living in a fifth wheel since 2011, a science educator at heart and now he’s a traveler and a ski instructor and an RV consultants. He writes about the RV life, RV issues and living an entrepreneurial lifestyle on RV across America at RVAcrossAmerica.net. So Alan, welcome to the show today. We’re so glad to have you. Alan: Thank you, Kevin. It’s a pleasure to be here. Kevin: Yeah, I went … I just did a little bit of research on you and went out and looked at your website quite a bit. You have some wonderful content on there. And at the end of the show for everybody, we’ll have in the show notes links to how to get a hold of Alan and he’ll mention how to do that as well. So you definitely want to take advantage of that. There’s some great resources there, both in blog form from his travels and things. But we’re going to let him just go ahead and get started and kind of tell us about your story, just how did you get in … you said 2011 is when you started, maybe there’s a back-story so that. So just kind of give us your back-story, Alan. Kind of what got you into RVing, why do you do it? And maybe you kind of start to share your first experience a little bit about why … not why, but that process of going and buying your first RV, your first new RV, what was that like for you? So I’ll you take it away. Alan: Well, thank you very much. I have a lot of fun with the website. And I actually got my first motor home at the time back in the mid 2000s, around 2003, 2004. And I was an educator, I was a classroom educator, science educator for about 20 plus years. And I learned that summertime was a great opportunity for professional development and I learned that I could travel, and you know I had a good time traveling while I was also learning something, and a lot of those opportunities were on the west coast. I was on the east coast and I thought about how am I going to get out there. And instead of flying I decided why not drive and really get a feel for the country. And that’s when I bought my first to class C motor homes. They were small. One was a 21-foot, one was a 24-foot. They were used but they were just barely used. One of the things I learned about the used market real early on is it’s not like the car or truck market. Cars and trucks people of course have to have and most people do not trade in or sell a car or a truck until there is a pretty good reason to be selling that car or truck, whereas with an RV lifestyle or choices change, and they seem to change rather quickly. So those two class C’s that I got were virtually new. I use them for a year, year and a half and bought them at the right price, sold them at the right price, and sold them as virtually new. I got back into it in 2011. I’d left the classroom in 2006 to move to Florida from New Jersey. And I moved to Florida to care for my dad, he was from that generation who’s pushing 90 at the time. And I was forced with … I was faced with the decision where I either was going to have to … as I put, warehouse him in a nursing home or take care of him in his own home and for the remainder of his life until he went home for the Lord. And I opted for that latter plan, stayed with him until he passed in late 2011. And frankly within three weeks I bought the fifth wheel and a truck, and I was out of Florida. Kevin: On the way to go. Awesome. Alan: We got that purchase program back then. Kevin: So as you were, you had owned a couple motor homes you mentioned prior to your purchase in 2011, new RV, so many people watching this, some of them are repeat buyers, right? So there’s lots of folks out there that obviously upgrade and looking for new RVs. Unfortunately too many of them have bought their first one the wrong way, made some mistakes along the way, and how they made the choices of their lifestyle and things like that. But for that person that’s looking to buy that new RV. A used RV, a new RV, there’s different reasons for both, and maybe a different show, we can have you back on and have you talked more about buying used RVs. But in this case the last one you bought was new and then also I read that right on your blog you’re also looking to sell your current RV and upgrade to a new one. So you’ve been going through that process. So what are some things that when you’re looking to buy a new RV that people really need to be mindful of and careful of so that they make good solid choices for themselves? Alan: I think the first thing that a buyer of an RV has to think about is what your lifestyle going to be like. How are you going to use it? Are you going to be in it for four trips for three or four days each throughout the year or you’re going to be in full time or somewhere in between? There are more and more people thanks to modern technology that are opting for a full time lifestyle traveling on the road, and modern technology makes this possible. I mean, we’re having this conversation right now using the internet. I’m using a camera at my end. I’m sitting at my dinette table and perfectly comfortable in the middle of nowhere, and it works out real well. So when you think about what is it I want to get, there are a number of different types of motor homes and towable. So you really have to start looking at what’s going to be my need. If I have young kids I would be thinking about a motor home because as you’re traveling down the road, do you really want to stop in every bathroom between here and Kentucky? Or would you rather be able to use that motor home and enjoy it while you’re traveling with the kids and the kids are going to be more comfortable, there’s food on board, there’s bathroom on board and everybody can get around and kind of relax. On the other hand for me when I looked at that option I opted for a towable. I had no problem with putting the king pin in the back of my truck. I did the research to find out how much of a truck I needed, and I want the truck. I travel, I travel alone so there’s no issue as far as bathroom breaks and things like that. Kevin: There’s no holding you, right? Alan: Yeah, exactly. With a fifth wheel you can really get the kind of luxury and comfort for 1/5 to 1/10 of the price of what a class A motor home is going to be. And when you need service on the on the vehicle that’s towing it, you’re not giving up your home. If you’re in a class A motor home you’re given up your home, so that’s something else to think about. Kevin: Right, that’s a good point. So we had a previous guess on one of our other shows, Mark, and he’s with Camp Ground Views. And he mentioned the same thing about the difference in price from a motor home to a fifth wheel in terms of the same type of lifestyle or quality of a fifth wheel compared to the quality of a motor home, and that there’s just a huge price difference. So even with a motor home though I mean it’s obviously they’re both house on wheels, but one has an engine and one doesn’t, but you have to have the tow vehicle. So in your experience having a motor home and a fifth wheel, do you find that the cost even with the tow vehicle is still is … how do I say it? Acceptable, but how do you find the cost comparison between a fifth wheel experience having to have a nice truck to tow with versus having the motor home? Alan: It’s great question. The way I look at it is this – if you have a motor home, now when I had my class C’s again it was just me and I bought small. I bought a 21-foot and then later a 24-foot. So if I needed to go to the market I drove to the market, much the way people drive their car, I drove my motor home. It fit in to spots or kind of sort of fit into spots. And that was just fine. Now if I was going to be, and at that time I was the guy who was going to be in it for eight weeks, nine weeks throughout the year, it was during the summer. It was just me and I didn’t need to bring my entire life with me. When I turned around and bought a fifth wheel, my new purchase back in 2011 I went for a 38-foot fifth wheel which you can carry everything including the kitchen sink in here literally with you. I’ve got books with me, I’ve got my library with me, I’ve got everything you could think of. And there are some consequences to that too that I’ll get into in a second. Now with regards to your question specifically, when you have a larger motor home or a class A or larger class C you’re going to want to have a tow vehicle, that means you own to motorized vehicles. And you’re going to be paying insurance on two motorized vehicles. In contrast … and your second vehicle by its nature is typically going to be a smaller lightweight car. That for me is a factor, because in my lifestyle where I’m skiing all winter and when I’m traveling during the autumn primarily I like being up in the mountains, and I like getting out on mountain roads, and I can take my Ford F250 3/4 ton diesel pickup truck onto any road that you can think of no matter how old or how decrepit the road. Kevin: Yeah, you’re not taking your dinghy there. Kevin: You’re going to be the dinghy. Alan: Exactly, whereas with my big old pickup truck I was able to motor through that and get up into the area, and God has His sense of humor, I did this on September 25th and it starts snowing heavily in the afternoon when I was up in Kerwin, which again is 40 miles from the nearest civilization and trust me Meeteetse isn’t much, it’s a town of about a hundred people. And of course my Verizon didn’t work. When it starts snowing I had to immediately start thinking about how am I going to drive down a muddy snowy path that was barely the width of my truck. But again if I had a small import or a small vehicle from Ford or Chrysler, whoever, it would have been a lot more difficult. Now if you go the route of a towable, what I encourage people to think about when I’m consulting with people on RVs is you have to really think about first of all do I have enough vehicle to pull this thing. You’ve got to make sure that the vehicle you have can pull the weight you’re going to pull. The second thing you have to understand is that a fifth wheel is always going to pull better than a than a travel trailer. Travel trailer people often call bumper bowl, because it’s hooking up to the the bowl on the back of your vehicle. That by its nature is not as stable a pull as putting a hitch in the bed of your pickup truck and being able to pull that thing where the hitch is sitting on top of your rear axle, so much more stable pull. Either way you are paying for a towable which is a much lower insurance rate, and you’re paying for a motorized vehicle. Now one point on insurance if you are a part timer then make sure that you speak with an RV insurer that is going to give you a decent rate. I happen to actually recommend a couple and through RVAcrossAmerica.net, people can to reach out to me and I will be glad to recommend to you an insurer that I know specializes in RVs and will give you a fair rate. I mean paying 3 or $400 for a year on a towable is not unreasonable. However, if you’re a full timer don’t lie about it. You’ll pay a premium but you’ll pay a real premium if you do end up having an accident and they find out that you’re a full timer and didn’t tell them. Kevin: You’re dishonest about it. Yeah, for sure. Alan: Either way you’re paying less than what you’re paying for two motorized vehicles. Kevin: Got you. So on the motor home also you had mentioned having a motor home and definitely if you’re traveling long distance the motor home, having the extra vehicle to tow behind, they call it a dinghy, you also call it a towed, right, that’s different, words that people use. So people have seen the motor homes going down the road with … now sometimes I’ve seen like trucks behind them, but most of times there are smaller vehicle like you mentioned. And those are people typical that traveling more distance, right? I mean, there’s people that buy motor homes, class C’s, some smaller stuff. A lot of times that they’ll stay more local or is more home really just for somebody that’s going to drive a thousand mile a trip? Alan: I would say not necessarily a motor home could be great for somebody who lives let’s say in the megalopolis between Washington, DC and Boston and wants to take weekend trips to the Poconos or up into the Catskills or out into West Virginia if you’re closer to DC. You don’t necessarily have to travel big distance, but what you have to think about is when you get out there how are you going to get around once you’re out there. Do you want to drive in a motor home, small enough that’s fine. But if it gets bigger and bigger then you’ve got to consider well exactly what is it I want to do. The other thing you have to think about and for me this was a factor because I travel on my own. Are you going to hook it up? And I learned really early on that the idea of trying to get a class A motor home or even a class C connected to a car, you really kind of need a second person. And even with a travel trailer you really kind of need a second person to help you with that, whereas with a fifth wheel it really is a one-man job or a one-woman job. Alan: You need to pop up. Kevin: Whole another story by itself, but recently, so we got a 30-foot, 32-foot coachman a couple of years ago bunkhouse. We have three, well had three teenage daughters, one’s married now but out of the house. But they enjoy camping, so pretty much have gone local. We were towing that with … we were towing it with a Dodge Durango. And it was more than it really should have been carrying, but just got a new truck in December, so looking forward to upgrading to that fifth wheel here in a couple years. But cool, so as you’ve been looking for … let’s kind of talk about motor homes a little bit. As you’ve been looking for that new fifth wheel for yourself, right? I understand that your lifestyle is a little bit different than probably most people watching the show, but the benefit that brings to everybody being a full timer is that you have a lot of experience to offer people. You’re not going to misguide them whether they’re going to take it for a weekend, take it for short term, three months at a time or they’re going to have living it full time. So in your process of trying to find which fifth wheel was the right one for you, what are some of the more generic type questions that you’ve asked yourself and that you’ve had other people as an RV consultant you’ve had to walk them through that process of trying to choose which one’s right for me? Alan: I think there are two or three things you really need to think about. Everybody talks about floor plans as being the king of things to think about. And to me there’s some importance there, but there’s two more fundamental issues to me that I would consider. Having lived in this thing for five years and I’m in a rig that’s actually fairly well built, there’s a lot of room for improvement in the RV industry. I’ll be generous and I’ll be gentle and say that. Alan: And being in the consulting business I am always talking with people about different rigs, different fifth wheels, different travel trailers, different motor homes, and one of the common issues that people run into is why do these things need so many repairs or why did they break so readily, especially to a full timer because you’re really using it the way it was never intended to be. Kevin: Right, all the time. Alan: The hot water heater, the furnace, things like that were just never intended. And I’m actually using it in conditions that, ready for this, drop down to as low as -35 degrees Fahrenheit. So I’m really using it in conditions that were not intended. Kevin: That’s a little colder, man. Kevin: Yeah, they look great. Alan: Yeah, they look great. But all you have to do is visit some Facebook forums and find people that were driving the XYZ fifth wheel and their water tanks fell out. It happens to be common with one manufacturer in particular that that happens and it’s because they’re using substandard supports to hold the water tank. And then you wonder why it falls down. Alan: I look for things like what about the slide ski, that’s the underside of the slide. In fact, what I would encourage people to do … I was shocked when I took a look, I won’t name them, but they’re the number one selling fifth wheel out there and I went to with a dealer’s lot and I saw a number of them that had been traded in that were three, four, five years old, and this was in a part of the country that got pretty cold in the winter, and every one of those fifth wheels had the material underneath the slide ski a crack. Now the fact that it cracked means that the wood that your slide is actually composed of is exposed, and of course it doesn’t take a whole heck of a lot of water to get in there and destroy the underside of the slide and you end up with a major repair as a result of it. That’s what happens when the manufacturer uses substandard materials. You’ve got to look for them. I’m in a search process right now and I’m just about finished my search process. I’ve found a company that is an example uses shock absorbers on their axles. Alan: Now for anybody who is going to go another thing that I learned, let me go off at a slight tangent here, people. Kevin: It’s okay. It’s alright. Alan: Another thing I learned as I lived in my 38-foot Behemoth is that if your goal is to drive down 95 or drive out 80 or drive down 95 and pull off the exit ramp and find an RV “campground” which is within 3/4’s a mile of the exit ramp, you could be in a 43 or 44 foot motor home or trailer and you’re just fine. But if you want to get out outside of West Yellowstone into a National Forest Service campground or if you want to go to a certain Bureau of Land Management campgrounds near Helena, Montana you better not be over 35 feet or you’re just not going to get in. You may not even like the road that gets you there. So that’s where I was mentioning before that you really have to think about your lifestyle. Sure, that 42-foot Behemoth is going to be luxury to live in, it’s going to be nicer than five midtown Manhattan apartments. However, where are you going to take it or where are you going to want to take it? And if that’s the case you really have to think about downsizing to the 30, 35 foot range, my next rig is likely to be from a company that makes it 33 feet 9 inches. And that 4 and a half feet that I’m shrinking is going to make all the difference in the world. I’ll give another example. I had a conversation with a company just yesterday that does factory direct fifth wheels. That’s their claim to fame that they make the crème de la crème. Well, not crème de la crème, because you can spend three times more than what this company was going to charge for their product. Their product I was looking at a 34 foot rig and it was going to be about roughly $80,000. Alan: And for that they give you in the walls one layer of fiberglass and one layer of the R foil, the aluminum foil that is an R14 insulation, contrast that to a few companies out there that are using two-inch-thick solid foam insulation. Now I mentioned before that I camp in conditions down to -35 Fahrenheit and you’re going to say, “Well, Alan, that’s for you, because you’re staying up at the North Pole for the winter.” And that maybe to a degree true. But I maintained and when I go into RVs on a dealer’s lot in the middle of summer where it’s 95 degrees out, there’s also a difference between the one with the one layer of fiberglass and R foil and the one two-inch-thick foam. The one that’s poorly built is going to be baking inside, it’s going to be a hundred degrees. And the other one’s going to be 10 or 15 degrees cooler insider. So it’s not just a winter thing, but it’s also a summer thing that a better insulated unit is going to save you on air conditioning costs. And when you stay at an RV park, some of them if you’re a long-term resident are going to make you pay your own electric. Alan: That’s typical on the month a month relationship, especially in the winter. But sometimes in summer, again depending on the park and depending where you are, that’s something that could make a difference of 50 or 60 bucks a month if your rig is poorly insulated versus well insulated. And you can’t [unclear 24:28] go with the R factors. The R factors are the big joke in the RV industry. R rig has an R47 roof, really. Please? You have to look at the actual construction and understand what they’re doing, and even that doesn’t necessarily match up on an A/B comparison. When I went to one factory and I looked at how they were building their chassis and I saw that when they put in two layers of fiberglass, and then they put a seal over it they don’t pull the seal tight. Because all you have to do is realize if you know anything about the pink panther fiberglass if you compress it it loses its insulation value. So they leave it nice and fluffy and they do that intentionally because that helps with the insulation. Kevin: Sure. So you mentioned a fifth wheel upwards of 80,000. There’s lots of people listening that are like, “What in the world? My budget’s 35,000 or less.” And I think we … anybody that’s been in the industry for a while we get a lot of reviews on RVing Planet about products, and one of the things I think going into, and you have a lot of this content on your website as well, that when you buy an RV even if you choose the right lifestyle, you’re only going to go short term, you’re still going to have issues with it. It’s a house on wheels. There’s no way to have no issues at all especially in that lower price point. And I think it’s important for people to realize even when you’re buying in that lower price point, let’s say you’re only going to use a few weekends out of the year, right? It’s a trade-off. You’re paying less money, the manufacturers to some … inventing them to some degree, they’re trying to make money themselves, but they’re trying to get products out there that people want, people will buy, and unfortunately to some degree people really love all the amenities. They’re great to have, they’re cool to have. And for people using it every other weekend or a few weekends out of the year my feeling is I can kind of be okay with that. But they have to know … they have to go into it with their eyes wide open I think is what I’m really trying to say at the end the day, right? I mean everybody’s going to make a choice. You may not buy that $80,000 rig. You may not even buy a $30,000 rig. But your eyes, they need to be wide open going into it and no matter which direction you choose. Alan: Well, absolutely. When somebody comes to me and they’re in the 20 to $40,000 price range, what immediately comes to my mind is you can buy a really nice-looking, really poorly built fifth wheel or travel trailer in that price range that’s brand new, that as soon as you drive it off the dealer’s lot is going to drop in value like a rock especially for the first two to three years. After two to three years the value tends to level off until they’re about 10 years old. Or you can be the guy that buys that two or three year old fifth wheel or travel trailer or for that matter motor home that has already been through the first depreciation cycle, it was bought by Johnny Jones or Sally Smith that had all these grandiose plans of doing all these wonderful things and then life happened. Alan: And for whatever it’s a trailer or a motor home or a fifth wheel that has sat and hasn’t been used. It’s been used maybe five times over the two or three-year life since it was brand new. And Johnny Jones and Sally Smith also got the honor of going through the initial quality control issues with whatever manufacturer they bought it from and getting those things fixed. So my advice would be to buy a slightly used, a relatively new travel trailer fifth wheel, save the money, spend that 20, 30, 40 grand on something that’s used. Now there isn’t going to be a manufacturer’s warranty. But the manufacturer’s warranty are only a year anyway. And one of the things that I highly recommend, yeah, mostly, is an extended service contract. Now I don’t want to sound like an advertisement but I do offer those to people and they can reach out to me and get a quote. The reality of an extended service contract is I can go down a list especially again since I’m full timing on the things inside my trailer that have failed over this five year period. Now some of them would not have failed if I was only using it a couple of times a year, but others would have. In fact the two big items that I put through my extended service contract which more than paid for what I paid for it, right now my refrigerator because it was in the cold this winter, it’s in need of a cooling unit which is going to run about a grand and that’s going to be covered by the extended service contract. They cover components by the way. People need to understand that, no it’s not going to cover your roof if it leaks, that’s a maintenance issue. The roof is something that if you talk to any manufacturer they’re going to want you on that roof and doing something to maintain it twice a year whether you like it or not. The other service that I needed on in extended service was a landing gear, which also very well have failed, whether they’re being used a lot or not. Kevin: Landing gear, you’re talking about here automated jacks? Alan: Yeah, the jacks in the front, exactly, those things. And one of the reasons that that happens is the motors that these manufacturers put in are underpowered. That’s endemic throughout the industry. People wonder why their slide motors quit. Well it requires, I’m just pulling numbers out of a hat, but an eight horsepower motor and they put in a four horsepower motor. Why? They’re saving money. It’s just the way the industry works. What do you end up doing? You end up having to pay for the upgrade unless you’ve got the extended service contract then things like that are recovered. Kevin: Got you. So there are probably … Well, we need to finish up for today but there’s probably a million things that we could continue talking about here. And I really appreciate you taking the time to come on today. Hopefully you’ll have another chance. Hopefully you’d be willing to come on again and share some more things with us. Alan: Yeah, I’d be happy to. I mean there are topics like camping in the winter or camping in sub-freezing weather. The majority of this country gets below freezing during the winter and there’s no reason that you can’t go out and enjoy the outdoors. Camping as a family, there are thoughts that I have there. The idea of where you can go to camp and how those choices impact again what it is you’re driving around or pulling around. Those are all factors that you got to consider. And spend time, go to a show, go to some big dealers, and when you go inside a rig sit in it for 15 to 20 minutes. I encouraged not to do it on Saturday afternoon when the salesman is trying to meet as many people as possible. But if you go there on a Tuesday morning or a Wednesday morning and you occupy three hours of his time I don’t think you should feel bad about that. Or just ask him for a key to being able to get into the rigs and you can go in and wander around. Just realize also though that if you’re going in more than three or four or five, your head might explode. They all start looking the same and you got to really think through that. Kevin: That’s a whole, I tell you, I was at … been to Hershey RV show, Hershey, Pennsylvania a few times. And that, I tell you, if you want, you can’t just do it in one day. But if you want an induction in what’s out there for RVs, that’s a great place to go. Up to … up to have a show, maybe we’ll actually go there this year, who knows and do a live show from there. Alan: Not a bad idea. Kevin: Well, now that we’re finishing up, Alan, just kind of tell us currently what you’re doing real quick and your website and how people can get a hold of you. Alan: Well, the website is RVAcrossAmerica.net. People can reach me there. There’s a contact me button right there and I’m pretty good about getting back to people. I’ve got a YouTube channel. If you search RV Across America, I’m sure you’ll probably find that too. But go to the main RVAcrossAmerica.net, that will get you there and you can always reach out to me. There’s a little subscribe button if you want to hear newsletters for me. I don’t blast people with spam. I don’t send out a lot of newsletters. Probably ought to send out more. 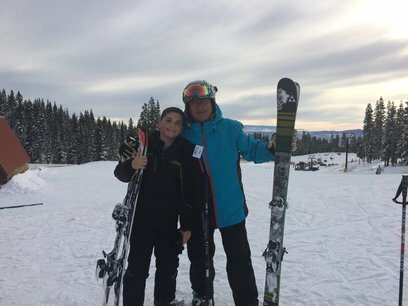 As far as what I’m doing, today was my last day on the mountain. It is late March as you and I are having this conversation. The weather is warmed up. There’s been a fair amount of rain here in the central Idaho Mountains. And tomorrow morning I’m going to hook up my fifth wheel to the truck and if everything is behaving itself I’ll be heading on down the road, moving towards Boise and then probably spending the summer in Casper, that’s where I do my consulting. And in between I’ll take some time and enjoy life and then my big opportunity for kind of bumming around comes in the autumn September, October, and November. Kevin: Okay, fantastical. Well, again thank you. I know that RVingPlanet.com was one of our sponsors on our show today, and you go there and check their site, and we’ll have some links down below too. They do provide quite a few guides to all of our listeners out there on whether you’re buying a new RV, used RV. Some of them are free, some of them have a nominal charge. But I really encourage you guys to take a look at those. Just as we’ve talked about in previous shows as well and Alan mentioned today there are so many different things to think about when buying your next RV. We want you to make sure that you get the right one for you and you get a good deal and able to use it. Some people overspend and then you don’t have enough money to go camping. So we want to be able to actually use the RV and enjoy the lifestyle. So well I think that wraps up for the show. And till next time. I hope everybody enjoys the RVing life.